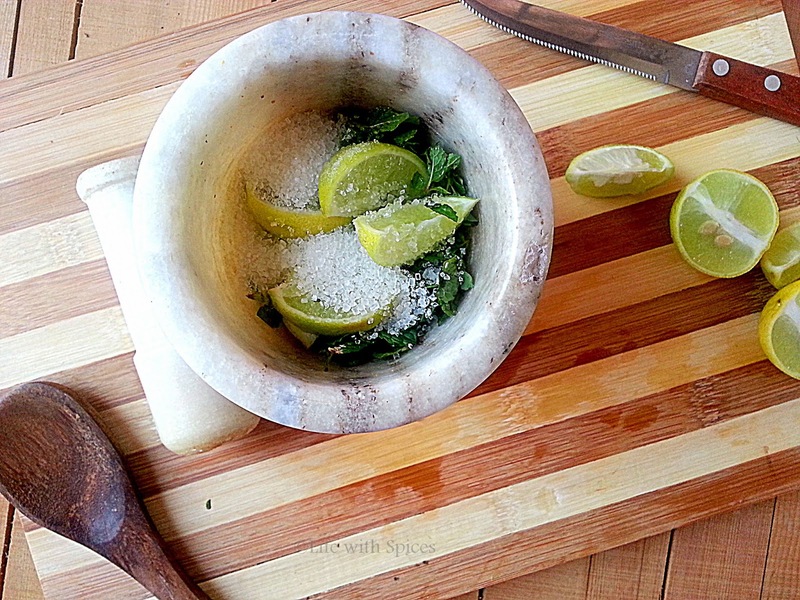 Virgin Mojito makes a great summer thirst quencher. This is a sure refreshing drink!! 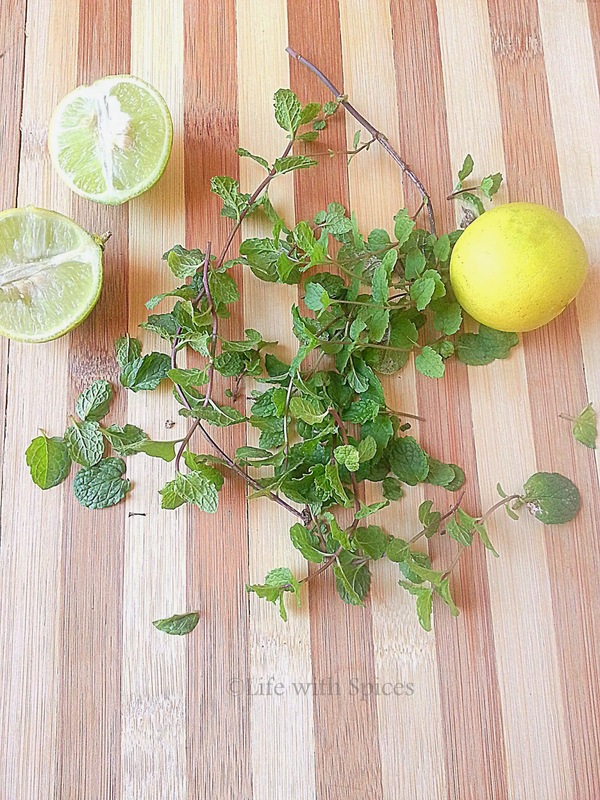 Chennai is getting humid as the days r going by.. A perfect drink is the much needed one once you get bk home..This is easy n quick to prepare drink which has always been my fav.. n continues to beee..
Chop mint leaves, slice the lemons into wedges and remove the seeds. 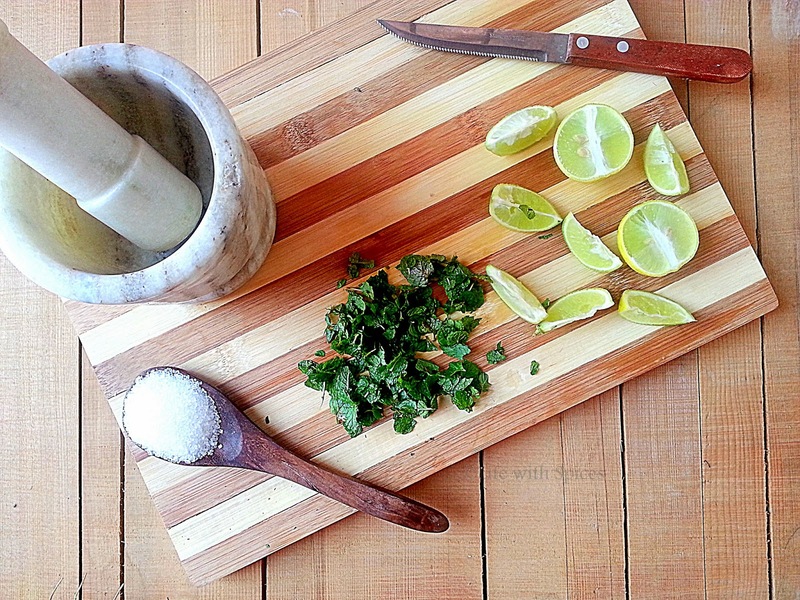 In a mortar pestel add in mint leaves, lemon wedges, sugar and mash up until the juices are squeezed out. Add this to the pitcher, pour over the sprite / soda mix well top with more ice and enjoy!! Notes: If adding plain soda more sugar is to be added. Looks so refreshing.. lovely pics and a great drink for summers! Refreshing drink Kalpana! I 'm going to try it!